If you realise that your frame pad is worn then it is essential to replace it to ensure maximum safety. 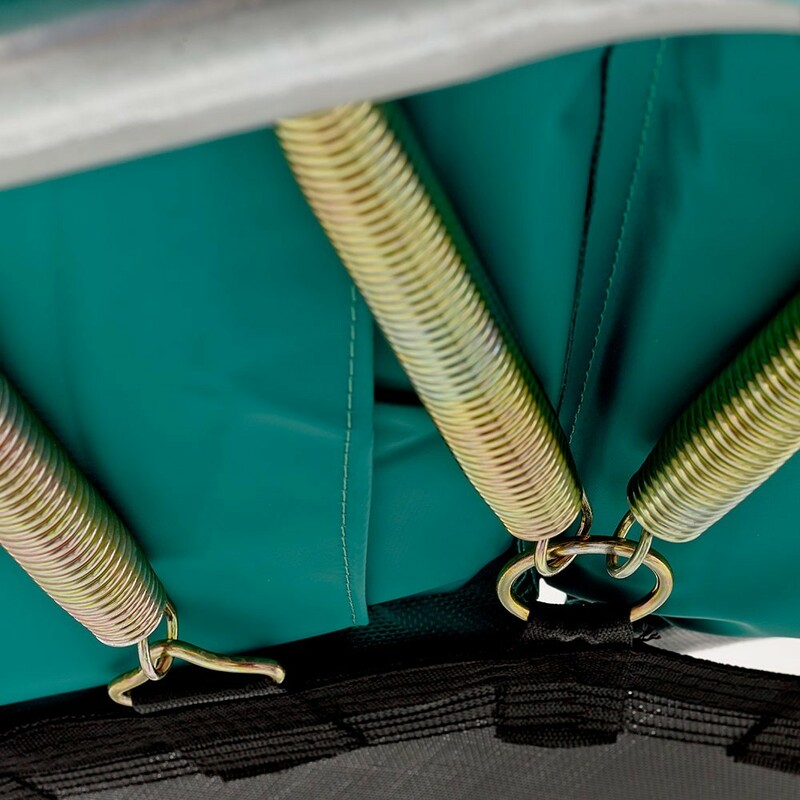 The frame pad covers the springs to guarantee user safety. 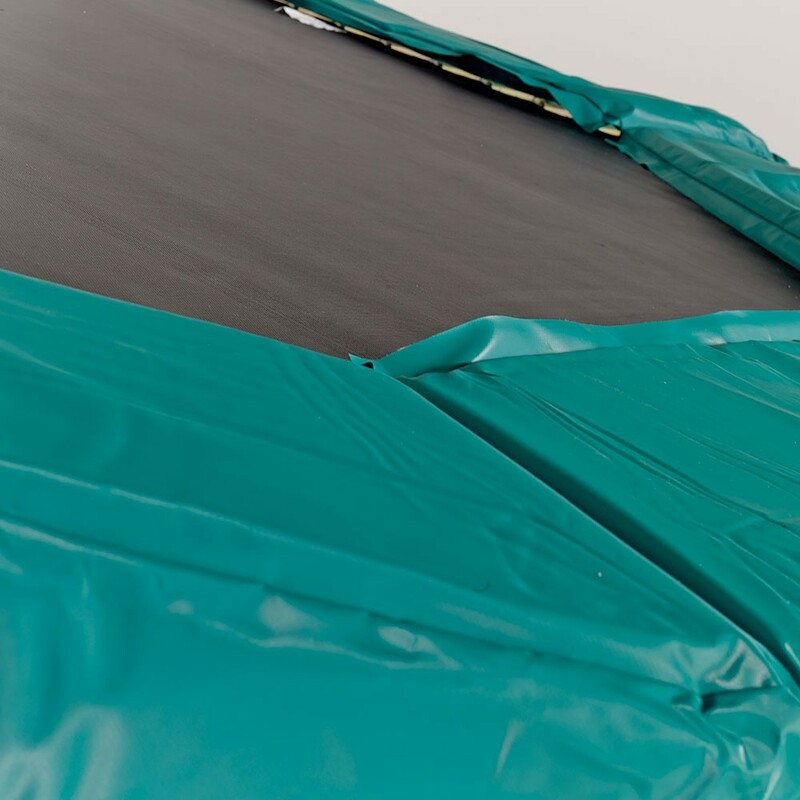 This model is adapted to octagonal trampolines measuring 4.57 m x 4.27 m.
- Initially designed for our Waouuh 460 trampoline, this Premium frame pad can also be used for octagonal trampolines from other brands, as long as they measure 4.57 m x 4.27 m. Check the size of your trampoline by measuring the outside edges. - This Premium frame pad is made using a foam monobloc with multiple advantages. 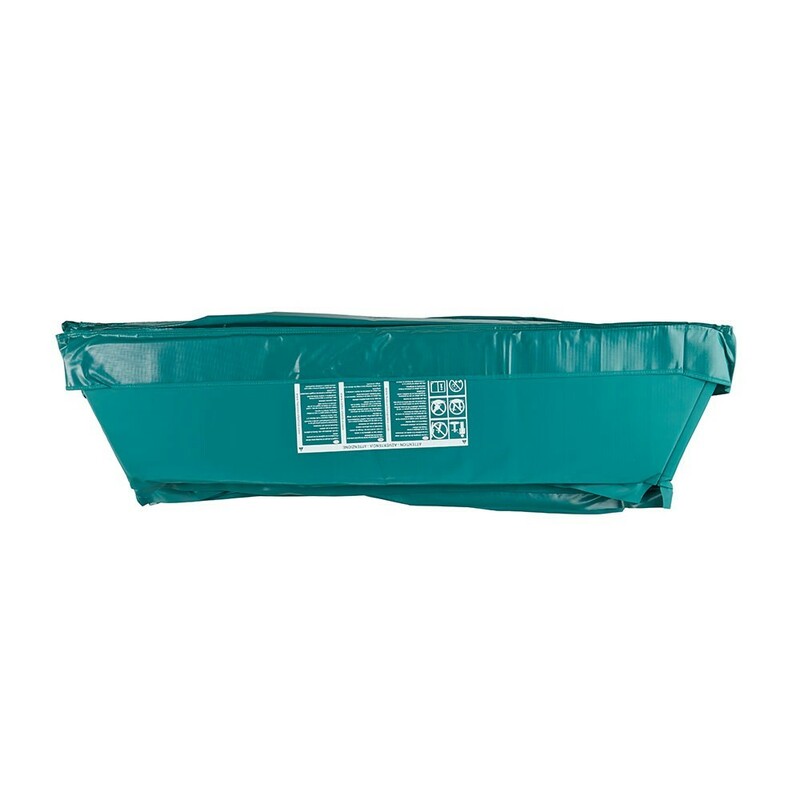 This EPE foam or expanded polyethylene is waterproof and protects the springs. It is 30 mm thick, which will guarantee a firm hold. It is also very flexible, meaning that it is shock-resistant in the long run. 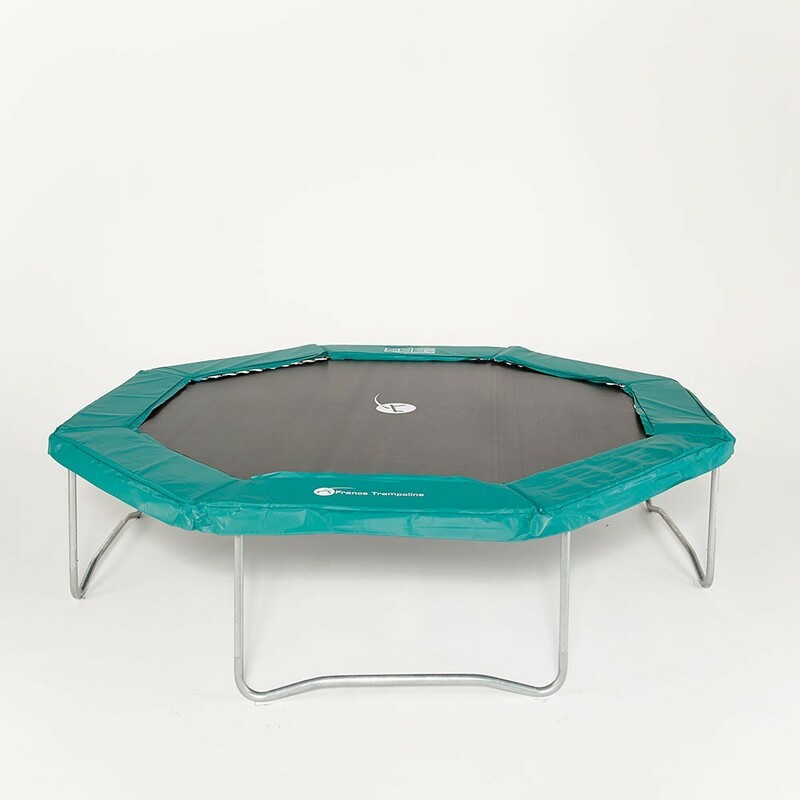 - France Trampoline designs all of its frame pads using a foam monobloc, which is very important as it ensures that the frame pad is more shock-resistant. - This technical foam is protected by a thick PVC coated cover which has been UV protected. This high-density PVC protects the frame pad from the weather. 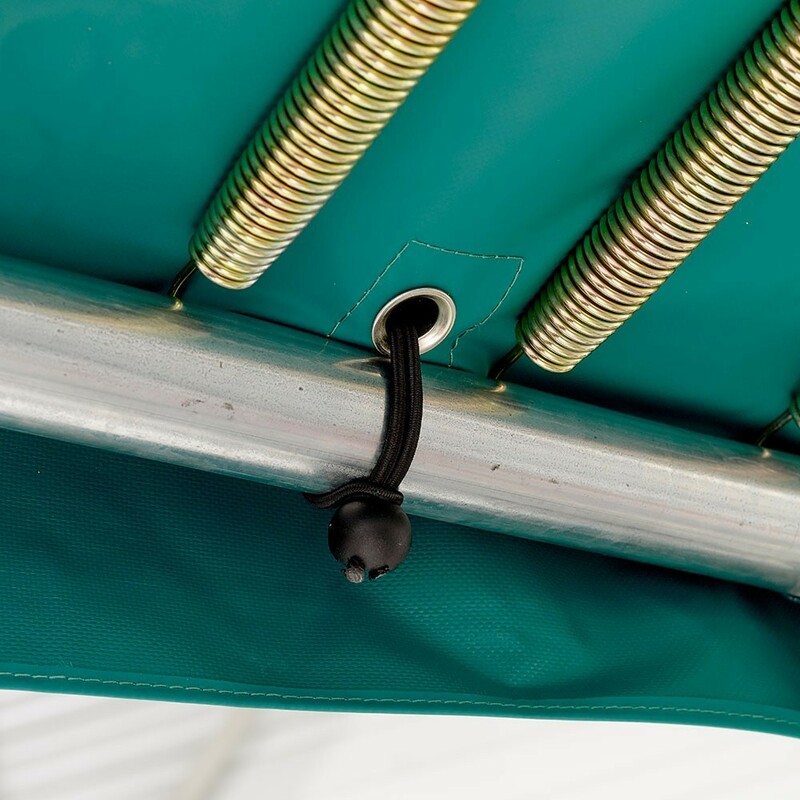 - In several places under the frame pad, an elastic strap is threaded through two eyelets, which is a useful system to prevent the frame pad from deteriorating too quickly. 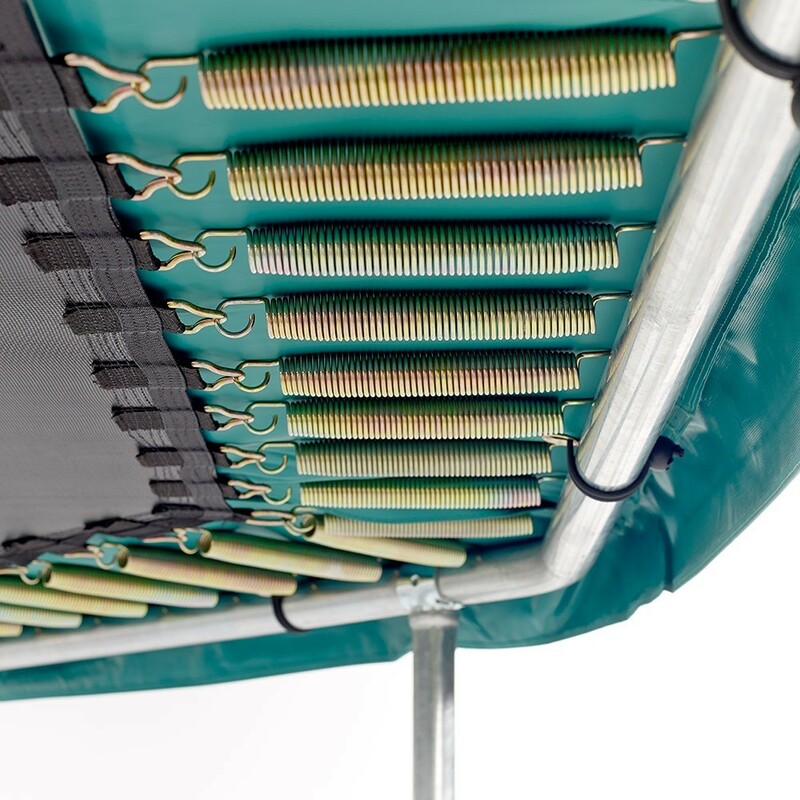 This frame pad is delivered with 16 elastic straps, the necessary number of elastics to ensure the frame pad is securely fixed to the framework.